Volkswagen is all set to pull off the unexpected, by bringing in the T-Roc SUV to India by the end of 2019. The T-Roc is a Hyundai Creta-sized compact SUV that is sold mainly in developed markets of Europe. Volkswagen plans to take the completely built unit (CBU) route for the T-Roc SUV in India. The German automaker will use the leeway that the Indian government gives to car makers, allowing them to import upto 2,500 vehicles without having to go through the India-specific homologation process. So, all that Volkswagen has to do is import the right-hand drive version of the T-Roc compact SUV to India, and pay the required import duty. What will it be priced at? Rs. 17-20 lakhs, reports Car&Bike, which makes it quite a pricey vehicle, especially considering the fact that the Volkswagen T-Roc is smaller than a Hyundai Creta. In India, it’ll rival the Hyundai Tucson and the Jeep Compass. The Compass’ prices start from Rs. 15.45 lakhs while the Tucson’s prices start from Rs. 18.74 lakhs. 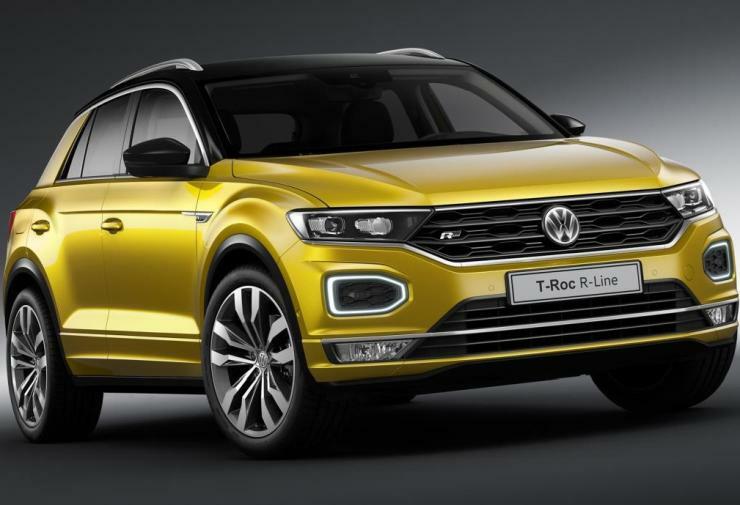 Obviously, these prices will make the T-Roc India’s priciest compact SUV, and this will also mean that the vehicle will be more of a brand builder for Volkswagen, than something that can bring in meaningful volumes. If anything, it’ll give SUV buyers a taste on what to expect from a Volkswagen SUV, and the automaker will hope that a positive impression of the T-Roc will translate into good sales for the T-Cross, which will be a much cheaper SUV – priced between the Hyundai Creta and the Tata Harrier. However, the T-Cross will be launched only in 2021, with an official unveil of the India-spec model expected to happen sometime next year. Notably, Volkswagen India is yet to begin testing the T-Cross on Indian roads, an indication that the SUV is about a couple of years from debut. 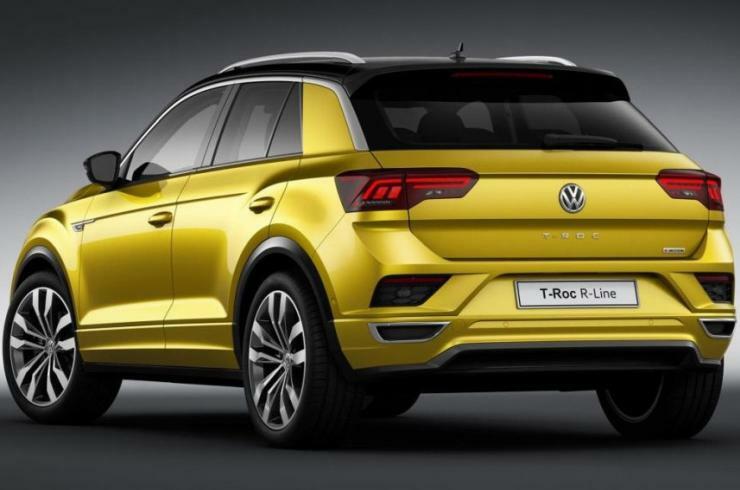 While the T-Cross will use the Indian-ized version of the MQB platform called MQB A0, the T-Roc will be built on the Euro-spec MQB platform. 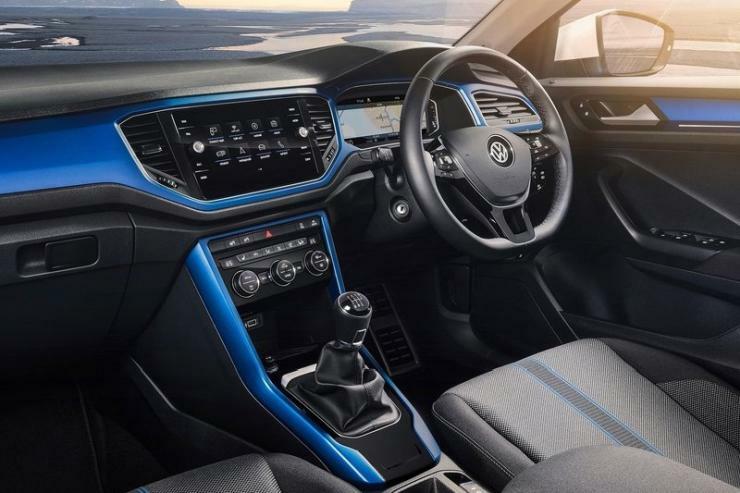 To justify the super steep price tag, the Volkswagen T-Roc will be stuffed with features, and we expect it to outdo most other compact SUVs in the sheer range of features and creature comforts on offer. Under the hood, there will be a turbocharged, direct injected petrol engine as standard. In Europe, the Volkswagen T-Roc gets 3 turbo petrol engines – in 1 liter (113 Bhp-200 Nm), 1.5 liter (148 Bhp-250 Nm) and 2 liter (187 Bhp-320 Nm) displacements. While the smallest motor gets a 6 speed manual gearbox as standard, the 1.5 liter unit gets both 6 speed manual and 7 speed twin clutch automatic gearboxes. The 2 liter motor gets a 7 speed, twin clutch DSG automatic as standard. The bigger engine also gets an all wheel drive system while the smaller ones drive only the front wheels. It remains to be seen which one of these engines Volkswagen picks for use in the T-Roc that will be launched in India.